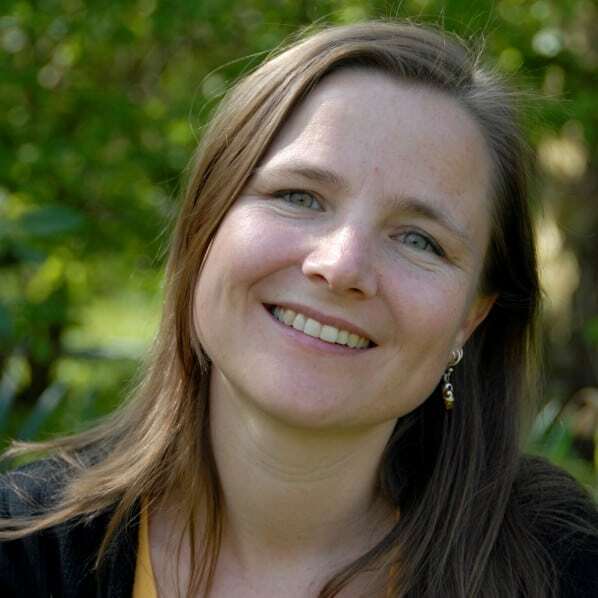 Prof. Nienke van Atteveldt from Vrije Universiteit Amsterdam leads a cluster of US and European researchers that has been awarded one of the inaugural emerging field group (EFG) grants of the European Association for Research on Learning and Instruction (EARLI). Together with her colleagues, van Atteveldt aims to harness the huge potential of portable brain technologies for neurological research in real-world settings. We spoke to her about the aims and applications of her research. AcademiaNet: Prof. van Atteveldt, congratulations on receiving funding for one of the four inaugural emerging field group (EFG) grants. Your cluster aims to further develop the potential of portable brain technologies for educational neuroscience research. What exactly do these portable devices measure and what can they tell us about how the brain works? Prof. van Atteveldt: Thank you, we are very excited about this opportunity! The most common portable devices at this point use either electro-encephalography (EEG) or functional near-infrared spectroscopy (fNIRS) to measure brain activity. EEG uses electrodes in a headband to measure electrical signals emitted by the brain. fNIRS uses light in the near-infrared spectrum to detect changes in blood oxygen levels in the brain. These EEG and fNIRS signals can be measured while someone is engaged in any kind of activity, for example, collaborative tasks or play, listening to a teacher or watching an instruction video. They can also be measured during more specific tasks such as pressing a response button whenever a certain target event happens during a lesson. We can then measure how different brains show synchronized activity, for example, how an individual’s brain activity is in synch with a teacher or a video, how different parts of the brain are correlated to each other, or how specific cognitive processes such as attention work in real life. One of your target research groups is comprised of young people in educational and everyday environments. Are there any ethical issues connected with the experiments that you are carrying out? This is an important issue, and one which we are taking very seriously as we embark on this EFG. First of all, the techniques are all safe, and known ethical issues will of course always be considered. We follow ethical guidelines for working with human participants and always obtain informed consent. With the more innovative ways in which these techniques are increasingly used, like recording brain activity from groups of children in a classroom, or using portable EEG neurofeedback to train attention or self-regulation, the ethical issues are emerging as we advance. Therefore, we advise all researchers using portable techniques to study learning and development in a manner which includes stakeholders’ (teachers, parents, children) views and ideas at all stages. In our EFG for example, we are organizing a public event around our first group meeting. This public event which will take the form of an interactive theater has the goal to find out what kind of impacts, either positive or negative, teenagers and teachers themselves predict will follow from using portable EEG or fNIRS in the classroom. With these insights, we can better determine meaningful and promising directions, but also anticipate possible negative impacts and importantly, also those impacts we do not anticipate based on our researcher mindset. Do you expect that your findings will have general implications for school curricula and for how pupils are thought at school? It is important not to rush any applications, and this is also why it is so great to have the chance to start this EFG. We first need to establish a solid basis of best practices to use the techniques reliably and to define their limitations. During the first period that our EFG will be active, we will therefore be mostly working out plans to validate portable techniques (by comparing data quality to the data obtained with the stationary versions) and on exploring the most promising and educationally meaningful ways to use portable neurotechnology for research (by including the stakeholders’ input). Once we have established a solid empirical foundation, I do expect that future research findings using portable neurotechnology can be insightful for school practices, as they allow doing research in ecologically valid contexts. Do you also plan to use the devices in older people, e.g., to measure how learning changes over an individual’s lifespan and at different life stages? This could definitely be a promising avenue for research, as portable devices are suitable for all ages. Your focus is on learning and neuroscience research. However, do you think that your portable brain technology could also have commercial applications, e.g., for sports doctors to quickly measure concussion pitch-side? I am not sure the quality of data generated e.g. by a portable EEG is sufficient for clinical purposes. I mostly envision the techniques as tools to advance educational neuroscience research by bridging the tightly controlled lab context and the chaotic and complex daily life context (which can also be a sports field). You envisage that portable brain technology will allow brain research to be carried out in regions that lack the necessary infrastructure for lab research. Do you already have specific plans for where and how you want to apply your portable brain devices for this purpose? We do not have specific plans yet for this aim, but during the EFG period we will actively reach out to form collaborations to carry out research in remote or rural areas of the world. Please contact us if you are or know a potential collaborator who could help us achieve this aim!